Discover Liverpool’s magnificent architecture and remarkable musical heritage and experience a truly memorable cruise on the Manchester Ship Canal. You’ll travel the 35-miles of the canal, enjoying spectacular scenery and a lively commentary along the way. Discover Liverpools magnificent architecture and remarkable musical heritage and experience a truly memorable cruise on the Manchester Ship Canal. Youll travel the 35-miles of the canal, enjoying spectacular scenery and a lively commentary along the way. 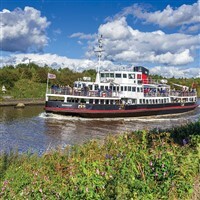 Well tell the story of how this magnificent waterway shaped the city of Manchester and the North West of England; take you through locks and bridges that have remained largely unchanged since their construction over 100 years ago; plus show you some of the regions most stunning architectural and natural sights. Few hotels in Bolton can match Mercure Bolton Georgian House Hotel for sheer style, comfort and scenery. Set in beautiful Lancashire countryside this Georgian manor house is one of the most desirable venues Bolton has to offer, in the perfect location and has one of the finest restaurants in Bolton with a sun terrace and landscaped gardens. .
We depart the local area and travel to Manchester. Enjoy free time to explore the city before continuing to the Georgian House Hotel, Bolton for our 3 night stay. A full day to Liverpool. Today we join the Mersey Ferries ship at Salford Quays for a fascinating 6 hour, 35 mile journey along the famous waterway. 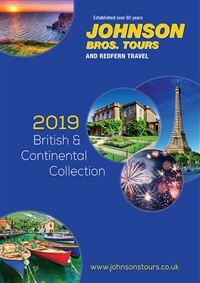 The cruise includes a live commentary giving a revealing insight into the facts, history and dramas of one of Britain’s major waterways. Refreshments and snacks are available on board. Afterwards our coach will be waiting to return you to your hotel. After breakfast at the hotel we travel to Chester, free time to enjoy the city. Our coach will depart at 16:00hrs to begin the return journey home.